A writer writes. Nothing new there. Everybody knows that. But a writer also reads. A lot. At least, they should. I often narrow my eyes with skeptical sideways glances toward writers who confess they don’t read much. “Just don’t have the time,” they say. Hogwash. You make the time because for writers, a day without reading should feel like a day without breathing – a necessity to living. I enjoy learning favorite books of other authors, which almost always include the classics from Hemingway, Fitzgerald, Lee, Poe, and Salinger (to name only a few). And why not? That’s why they’re classics. People love them. And though I adore the stories written by these exceptionally talented writers, (if only I had an iota of their ability. sigh) my favorite all-time book is The Jungle by Upton Sinclair. I need to read this book every couple of years. It is that good. The way Sinclair describes his characters and the scenery makes me feel I know these people (they are me) and I am living inside those pages. The Jungle is set in the early 1900’s and tells the story of a Lithuanian couple, and their extended family, who are lured to America, Chicago, for the opportunity of a better life through the promise of higher wages. 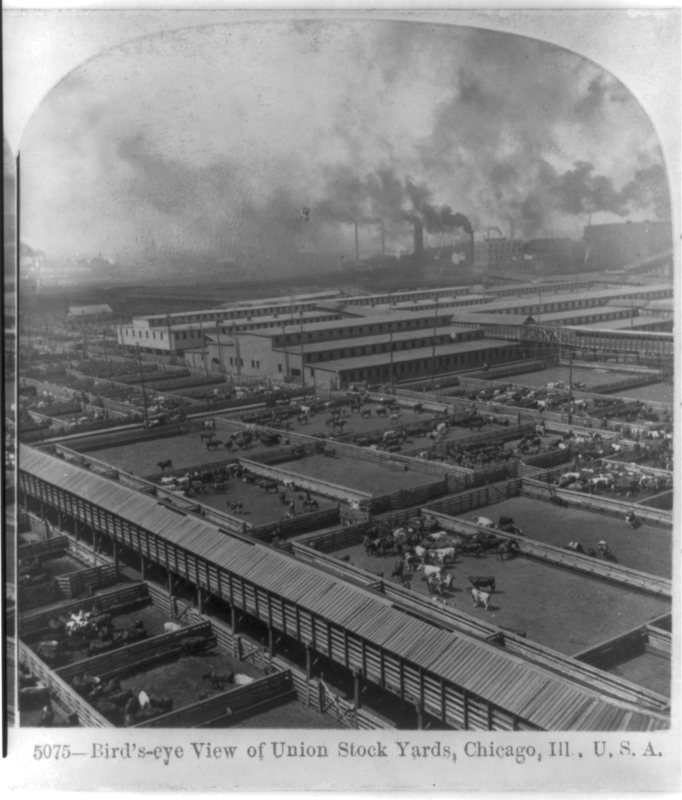 Based on the advertisement the Chicago companies, the Stockyards of Chicago, use to recruit immigrant people, the family’s image of the beautiful land they will soon call home doesn’t fit the reality of what awaits them. 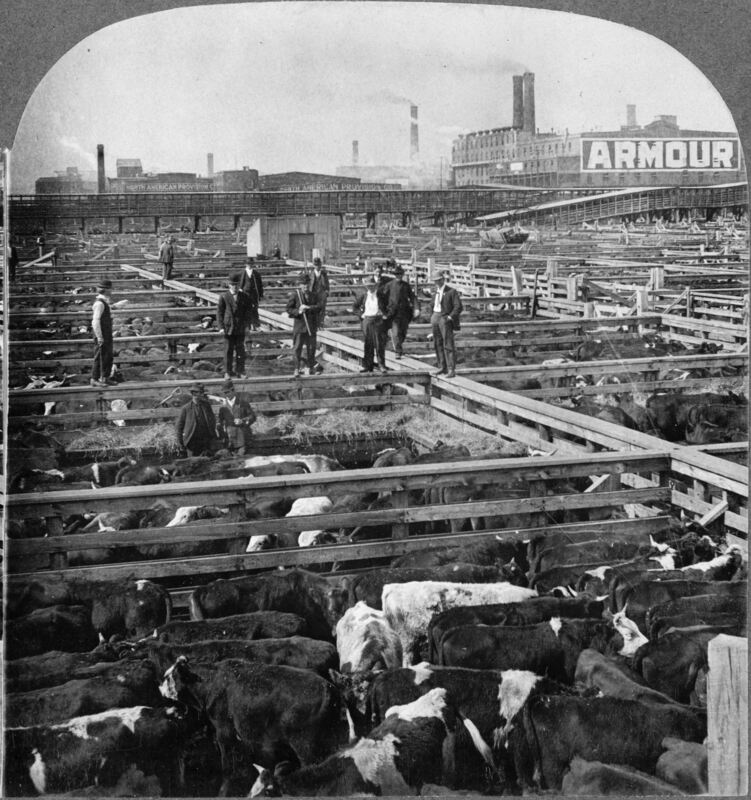 This becomes apparent on their train ride as the scenery of colorful green pastures and wild flowers mixed with the scent of fresh clean air gives way to the dreary and gloomy sights of the Stockyards, lined with slaughterhouses and over-whelmed with the rancid smell of death, where their ride ends. Upon their arrival, the family faces a huge setback when they realize the inflated cost of living will cancel out any advantage of the higher wages they may earn. This forces every single member of the family, including the children and the old, to work long hours, every day, just to stay afloat. This book brilliantly depicts the struggles of each character as they face the harsh realities of their new life. The Jungle incorporates social injustices such as the exploitation of immigrants, the lack of labor laws, including child labor laws, workplace safety issues, and political corruption as contributing factors in the decline of a once morally and ethically strong extended family of twelve. For his research, Sinclair is sent to The Stockyards, by a socialist newspaper, to live among the working people in the meatpacking district for seven weeks. He becomes one of them. The Jungle is his firsthand account of the horrible living and working conditions forced upon the immigrants. There was a huge outcry from the country after The Jungle came out, but it wasn’t the reaction Sinclair was aiming for. His intent was to get an appalling reaction from his readers through the cruel injustices that were inflicted upon human beings at the hands of corrupt individuals, politicians, and corporations. Instead, America was sickened by the dirty and unsanitary way their food was being handled. When the public found out that rats, spoiled meat, and whatever happened to be on the filthy floor at that time, was shoveled into cans with the rest of the food and packaged to be delivered to someone’s dinner table, the outcry was loud. President Theodore Roosevelt created the Pure Food and Drug Act in 1906, the same year the book came out. What resonates with me when I read this book, that was written over a hundred years ago, is how socially familiar these injustices still are. And that is sad. Photo courtesy of Public-Domain Images. This reminds me somewhat of The Grapes of Wrath, which is another of those great books that stay with you forever. Next Next post: People Person or Loner?